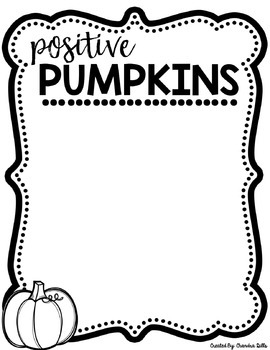 A perfect addition to Halloween fun in your classroom! 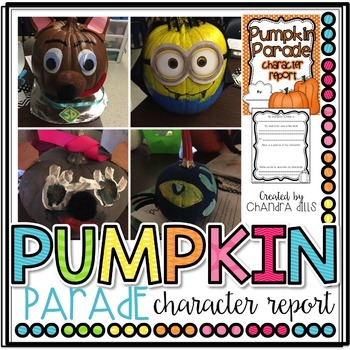 This "Pumpkin Parade Book Character Project" is a fun and interactive way for your students to create their favorite book character out of a pumpkin! 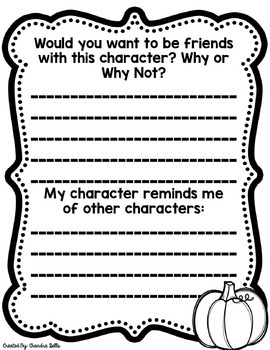 In my classroom, I send this home as a project and have them return them right before Halloween. 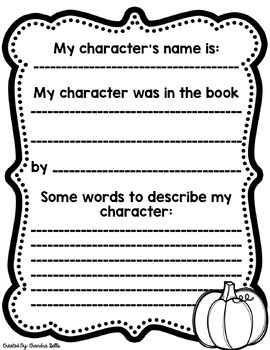 Then, I invite the parents to come in and attend our "Pumpkin Parade"
Included in this download are an instruction sheet to send home to parents, an invitation to invite families to your Pumpkin Parade, a planning guide for students and families, the character book report that goes along with the pumpkin project, desk tags for students to use to display their pumpkins, and a positive pumpkins comment page for other students to write positive comments about each other's pumpkins!